Animalcouriers provides a safe, reliable service for pet travel by road throughout Europe and the UK. Our couriers are experienced drivers and our vehicles are customised with comfortable travel compartments and security features. We aim to make pet road travel an affordable service while prioritising the animals’ welfare and safety. Depending on timing and destination, your pet may be able to join one of our scheduled trips that enable costs to be shared with other owners. Alternatively we can tailor collection and delivery services to your needs. 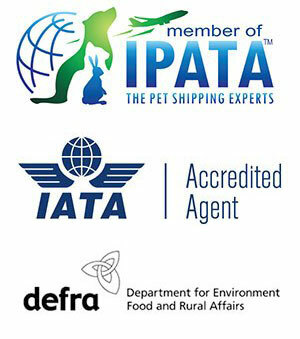 This includes collecting pets that fly into selected airports in the UK, France and Spain. 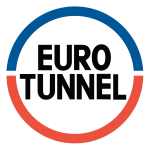 We have partnership arrangements with Eurotunnel and P&O. We can organise boarding for your pet at either end of the trip, to bridge any gaps in dates. Whenever possible, this will be using our own home boarding service or a kennels or cattery that we know and like. If your pet needs to go into quarantine in the UK, Animalcouriers can help you arrange quarantine accommodation and provide transport services. If your pet is waiting for its pet passport to become valid before entering the UK, we can advise on other boarding options in continental Europe. Find out more about our quarantine services. Below is a map of the places where we’ve collected or delivered pets. It will be updated as trips progress.